This simple indoor temperature and humidity sensor put together by [Shyam Ravi] shows one possible solution to the problem using Blynk. In the video after the break, he first walks you through wiring the demonstration hardware, and then moves on to creating the Blynk interface. While it might not be the ideal solution for all applications, it does show you how quickly you can go from a handful of components on the bench to displaying useful data. In addition to the NodeMCU board, [Shyam] adds a DHT11 sensor and SSD1306 OLED display. He’s provided a wiring diagram in the repository along with the Arduino code for the ESP8266, but the hardware side of this demonstration really isn’t that important. You could omit the OLED or switch over to something like a BME280 sensor if you wanted to. The real trick is in the software. For readers who haven’t played with it before, Blynk is a service that allows you to create GUIs to interact with microcontrollers from anywhere in the world. 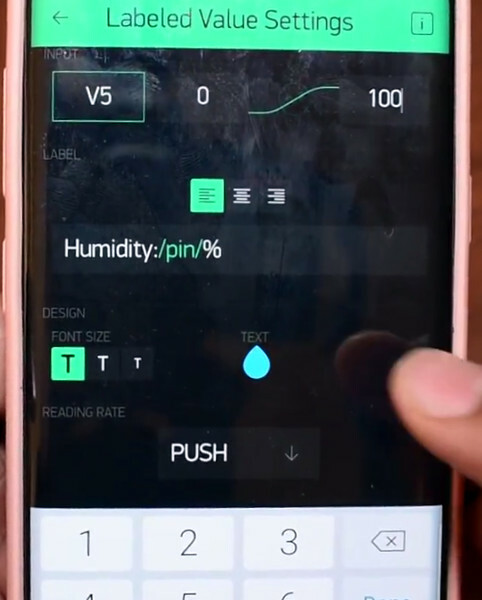 The code provided by [Shyam] reads the humidity and temperature data from the DHT11 sensor, and “writes” it to the Blynk service. From within the application, you can then visualize that data in a number of ways using the simple drag-and-drop interface. We’ve seen Blynk and ESP8266 used to control everything from mood lighting to clearance-rack robotic toys. It’s a powerful combination, and something to keep in mind next time you need to knock something together in short order. But companies that take our info for us to control things are here today and gone tomorrow. And what are we left with more hardware that we can get from our friends and family. That they had payed a lot of money for. Because the lights or internet cameras no longer work because the companies are no longer there. that in reality are getting ripped off. I think that there should be a better system in place to protect everyone. So do you support Blynk or no? I can’t really tell from the comment. I guess if Blynk goes under there’s going to be a problem, but what’s the alternative? This guy owns his own hardware. The data, I assume, isn’t mission critical or top secret. If Blynk goes under, he finds another service or rolls his own. In the meantime, he’s up and running without slogging through writing a lot of display code. I don’t see a problem. Do not blame the companies on that. If you had an app company, would you feel happy being forced to run your business (the app) forever just because?. Blame the way the internet was architectured: a descentralized network of computers, where anyone can serve and anyone can consume. So if you want to launch a connected app, go for it; if you want to shut down your app, go for it. There is no other way and no easy solution, as long as the internet is architectured as world wide web. I guess what I’m trying to say is that there needs to be a better system in place to protect peoples investments on there internet devices. Like having temp control, lighting, plugs, ect…. Now lets say you’ve lived in your new house for just over 2 years. It is winter you are down south. and the company that was controlling your temperature goes under and closes there doors. Now you have lost control of your house temp. Its those types of problems I’m talking about. Look at all the companies that have gone down that were controlling light bulbs. So what you are saying is that you need a regular, offline thermostat, right ? What I am saying in short..
What we buy WE OWN. NOT RENT, NOT borrow, Not use, BUT OWN. And if I own it it should not be taken away. Onless for safety reasons or something like that. Security software has to be alot better then it is now. If security updates should be needed they should be automatically updated. If the device was manufactured properly then this should happen very seldom. So there has to be a better system in place. 10 years form now the cars that are being sold now will shut down because they no longer being support. That’s like $35 – $80 thousand dollars for 10 years of use. I ddi just that to try out Blynk a coupl eof years ago just a NODEMCU1.0 board in a “tuperware” style container with a DHT22 (or something similar) stuck to the front with double sided tape a 12V battery and car USB adaptor to take care of regulation. Its a good simple project to try out the Blynk Service. How does a simple indoor humidity and temperature sensor a weather station make?? ?